Penguin Classics' creative editor Henry Eliot says "inspiring" bookstores and catchy covers help in reinventing the genre and intriguing new readers. NEW DELHI: With thousands of new books published across the world every day, what keeps readers going back to the classics? Penguin Classics' creative editor Henry Eliot gives the credit to bookstores and new, contemporary book covers. "I think lots of people have great love for classics the trouble is because they have been around for so long they almost feel like part of the furniture," Eliot told PTI. But "inspiring" bookstores and catchy covers help in reinventing the genre and intriguing new readers, he said. Describing bookstores as "beautiful and inspiring places", he said they give readers an opportunity to explore, experience, discover the world of literature and, most important, "bring back the focus on Classics". "What's brilliant about bookstores is that you discover new books. You get surprises. You see something that you might never have thought of before." Occasionally, he added, the bookseller will come to a visitor and say, "Look, I know you normally like this, but have you tried this over here?" Eliot, who was here to participate in the first Penguin Classics Festival that concluded last week, said new contemporary covers -- be it a minimalistic design or a picture of a classic art piece from the old masters -- help in keeping the Classics attractive and relevant. "A cover needs to do two things. It needs to catch someone's attention, who might not know anything about the book. "It's also about something else, which is to read the book and look back at the cover and realise 'Oh wow! So that's why that cover, it fits so perfectly'." To zero-in on a cover design, the "picture search team" is first briefed about the book, after which it reads the books and comes up with five or six possible covers to make the final pick. "Where we look through all of these options and choose the most striking and most effective one. It is really hard to find one image that meets all the criteria," the editor explained. The month-long Penguin Classics Festival, which started November 1 in bookstores across five cities -- Full Circle in Delhi, Kitab Khana in Mumbai and Bengaluru, and Starmark Bookstores in Kolkata and Chennai -- was not just about books but also a celebration of bookstores. The idea behind the festival, according to Eliot, was to give readers and booksellers an excuse to refocus on the genre. "It's difficult for a publisher, a bookseller or even for a reader to give much time to classics because there is always something newer or more pressing or easy for them to sit down and read," he said. 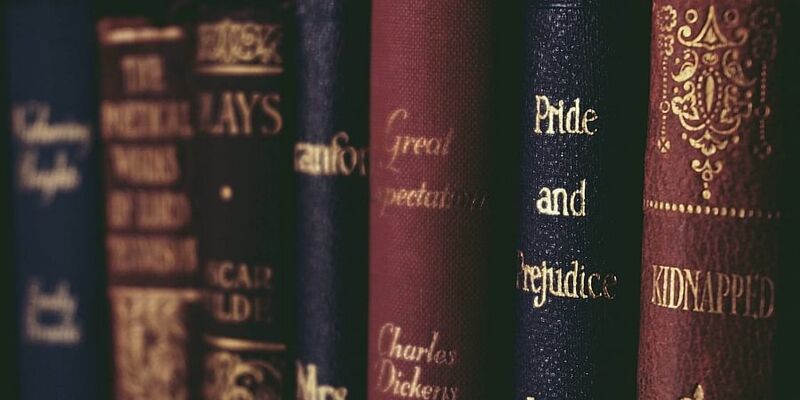 Touching upon another challenge faced by Classics and bookstores, the editor said online retailers "narrow" the scope of an individual's potential reading list. "Online bookstores show you books based on your previous searches and purchases. And that's very narrowing, as it shows you books similar to what you have already read," he said. Physical stores, on the other hand, "broaden the horizons" by opening the doors to a whole new world of literature that has books by different authors and in a gamut of genres. For the festival, the stores had on offer, a range of books from Penguin Classics, Penguin Modern Classics, Vintage Classics, Everyman Library, Bantam Classics, along with books by Murty Classical Library of India (MCLI). They also featured Puffin Classics and Vintage Children Classics. Eliot, who has led initiatives to engage audiences with Classics, recently authored "The Penguin Classics Book" -- a reader's companion to Penguin Classics, with comprehensive entries on every book and every author. During his fortnight-long visit to India, the editor visited schools and held workshops with readers from different age groups. "I have been so impressed by these school children. They are really enthusiastic about reading and discussing classics. And they have been asking some really intelligent questions," he said. "They asked the kind of questions which we ask ourselves, like what is a classic, what is the difference between modern classic and other classics, these are tricky questions. I was so impressed that these kids were thinking at that level," he added.